The summertime is on its way out and the fall is slowly approaching. According to Realtor.com, August 2016 was the hottest real estate market in ten years. 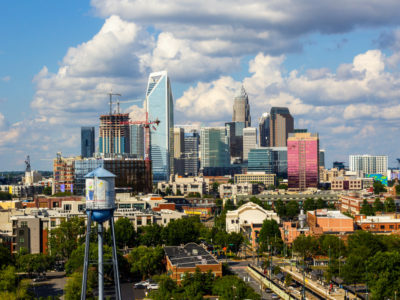 While the Charlotte area reached record number of sales and buyer pre-approvals in the summer, it may be hard to keep that up in the fall. During the fall season, real estate prices tend to drop in the Charlotte market. This may not be good news for sellers, who are still hoping to get the most of out selling their home but for buyers, there are a few ways that you can make sure you get the best deal for your money. So how do you make every dollar count when it comes to buying a home this fall season? 1. Consider a new construction – A new construction builder does not normally see the a drop in prices during the fall season. This season is busy for builders and most offer buyer incentives that you can’t get anywhere else. How would you like for all of your closing costs to be paid, free homeowners insurance for the first year, a complete home warranty, or upgrades throughout your home? These are a few of the incentives that builders offer at little or no additional costs to buyers. 2. Consider foreclosures and short sales – Usually foreclosures and short sales are not priced at their actual value. The previous homeowner defaulted on their mortgage and the bank is willing to sell at a lower price, to get rid of the liability. Therefore you are able to purchase a home at a discounted rate, it’s like using coupons and owing little to nothing when you get to the cash register. Granted these type of homes may need maintenance and repairs but if you’re wanting to create the perfect home suitable to your needs, this is the perfect opportunity to do so. 3. Consider searching homes priced slightly higher than your budget – Sellers tend to lower their sale price after 30-45 days of being on the market. Searching for homes over your budget that are close to that 30 day mark will give you an advantage over other buyers who are shopping in your price range. If the seller does lower their price and accept your offer, you’ll be getting a home for less than its worth. Savvy realtors and mortgage lenders are able to assist in finding good deals or making the deal good so that you get the best value for your money. Receiving the maximum value for your money will hopefully leave you with immediate equity, which will instantly increase your net worth. This is what homeownership is all about, making the investment to increase your net worth and enjoying the freedom of having your own home. Keep these tips in mind throughout your house hunt to make the most of your dream home.